In addition, about one-third of working age adult sufferers report that their disease is so debilitating that it interferes with their ability to perform their job. 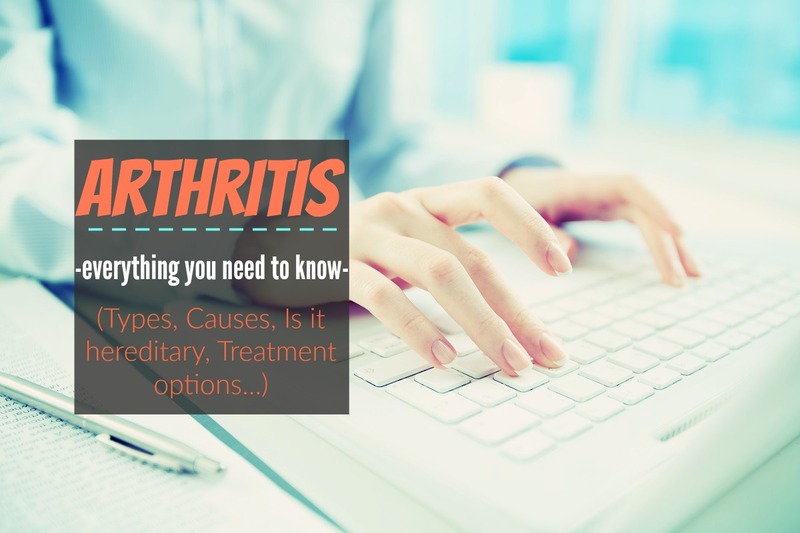 Due to the serious nature of arthritis, it is important that those with an increased risk of developing it understand the full scope of what it is, the symptoms associated with it, and possible treatments and advances in arthritis research. Arthritis is a disease that affects the joints and surrounding tissue of the body. Joints like those found in your elbows, knees or fingers are most likely to be impacted. Osteoarthritis and rheumatoid arthritis are the two most common forms of the disease. The pain associated with this form of arthritis is due to the wearing down or thinning of the joints and the subsequent rubbing of bone against bone. Rheumatoid arthritis (RA) is an autoimmune disease in which the body attacks healthy tissue. It is commonly found in the hand and feet joints, making it especially painful as the average person relies on both for basic movement and activity. 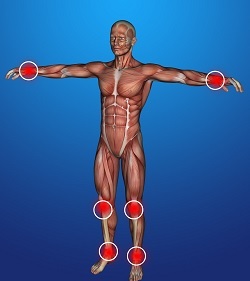 Pain, swelling, and stiffness occur as the lining of the joints wear down systematically over time. “Childhood arthritis” is an umbrella term that includes forms of arthritis like juvenile rheumatoid arthritis (JRA), juvenile idiopathic arthritis (JIA) and juvenile chronic arthritis (JCA). However, the term “juvenile” is used exclusively to refer to patients who are under the age of 16 at the time of diagnosis. There are also 200 plus other joint and tissue-related diseases that can be broadly classified under the heading of ‘arthritis’, including gout, fibromyalgia, and lupus. Some people are genetically predisposed to developing a specific type of arthritis, especially if a parent or sibling has the disorder. However, certain environmental factors can also cause your genes to express themselves in a way that triggers the disease. According to the National Institute of Health, early environmental factors like growth, feeding and in particular high birth weight, all have a strong positive correlation with developing arthritis later in life. The older a person is, the greater the risk of developing arthritis due to the natural breakdown of the bodies repair system as we age. Osteoarthritis, gout and rheumatoid arthritis are the types of arthritis to which older people are most susceptible. People who are overweight have more stress on their joints due to the extra weight, which can cause joints to wear down faster. Those who regularly engage in high impact sports and or have previous sustained joint injuries are also more likely to eventually develop osteoarthritis. Symptoms related to arthritis are directly caused by the wear and tear experience of the joints and in the case of osteoarthritis, the friction of bone. These symptoms can include pain, swelling, stiffness, and redness, as well as, decreased mobility in any of the affected joint areas. Research conducted by the Centers for Disease Control concluded that arthritis and other rheumatic conditions have been the primary cause of disability in American adults for the past 15 years. Furthermore, those in the study with the disease had a risk of arthritis-related falls and injuries, over the course of a 12-month period, that was 2.5 times normal than those without arthritis. Before considering any form of treatment, a proper diagnosis of arthritis, by a medical doctor, should be received. When assessing whether a patient does or does not, in fact, have arthritis, the doctor will ask questions about patient symptoms and perform a physical examination to test for loss of motion due to swollen joints. A blood test (to test for rheumatoid factor antibodies) and X-rays (in the case of osteoarthritis) will also be administered to further confirm what, if any, specific arthritis diagnosis is appropriate. The doctor may also withdraw or aspirate fluid from the joints to rule out the possibility of certain types of arthritis. 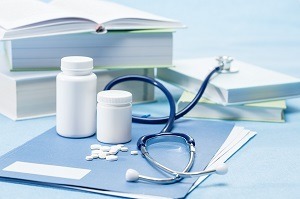 Once testing is complete, which could take several days due to lab result times, patients can begin to address the matter of treatment with the assistance of their medical professional. There are a variety of treatment options available to those diagnosed with arthritis. If physical therapy is required, the occupational therapist will prescribe exercises and lifestyle adjustments that can minimize the strain on the joints. Supporting weak joints with stronger ones, using a brace or nearby stationary objects to support weight or purchasing braces or aids that make it easier to open or reach for certain objects are some of the most common suggestions for arthritic patients in physical therapy. To reduce pain and inflammation and prevent additional damage to the joints, pain relievers and anti-inflammatories like acetaminophen or nonsteroidal anti-inflammatories may be recommended by the patient’s doctor. For stronger relief, a corticosteroid can be injected directly into the inflamed joint. Varying from patient to patient, this kind of treatment may have long-term of shorter term effectiveness when it comes to eliminating pain and stiffness. In more serve situations, surgery may be necessary to repair any sustained joint damage. 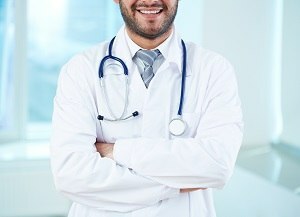 Ideally, the surgery will significantly reduce or even eliminate the pain and discomfort of the patient. However, if the damage is too extensive or the surgery is unsuccessful in improving the quality of life for the patient, replacement surgery is usually the next best option. Artificial knees and hip joints made of plastic, stainless steel or even ceramic materials are increasingly standard for joint replacement. While there is no official diet to combat arthritis, several foods do have well-known anti-inflammatory properties that can help alleviate arthritis symptoms. Likewise, spices like turmeric and ginger are also considered useful in the fight to reduce rheumatoid arthritis symptoms. Research into more effective treatments and even cures for arthritis are extensive and ongoing. As this type of arthritis produces symptoms that can be very painful on the joints and surrounding bone (due to friction and grinding), researchers are focused on studying joint cartilage. Denis Evseenko, MD, Ph.D. and his research team at UCLA are looking into the possibility of applying stem cells to damaged articular cartilage, the cartilage that covers most bone joints, in order to sufficient regrow damaged areas. Due to the nature of rheumatoid arthritis, researchers are investigating the origins of this auto-immune disease and its related immune mechanisms. Researchers have found that many of the mechanisms that are activated in rheumatoid arthritis are also activated in other autoimmune diseases like lupus, multiple sclerosis, and Type 1 diabetes, even though each disease affects different organs. In addition, the periods of active disease (inflammation) combined with periods of remission (limited or little pain) that are unique to the family of arthritis but common among other autoimmune diseases, is considered key to solving the mystery of why this disease occurs. Medical and scientific experts like Gale “Morrie” Granger, Ph.D. of are leading the way in the field of immunological research treatments for rheumatoid arthritis. Arthritis affects millions of people, but understanding what arthritis it is, its symptoms and causes, as well as, the available options for treatment and what new discoveries are happening in arthritis research, can all help those who receive the diagnosis. While receiving an arthritis diagnosis is life-changing it doesn’t mean that patients can’t continue to enjoy life. In addition, by following the steps above, patients with this disease have an excellent chance of managing and overcoming it day by day.